According to Amanda Cohen, the brilliant chef-owner of the vegetable-centric restaurant Dirt Candy in New York City, we should all be paying more attention to parsley. According to Amanda Cohen, the brilliant chef-owner of the vegetable-centric restaurant Dirt Candy in New York City, we should all be paying more attention to parsley. This “salt of the vegetable kingdom” has become Cohen’s go-to flavor enhancer for all kinds of dishes. Parsley is “the underwear of my kitchen: I wouldn’t dream of going anywhere without it,” she says. From popcorn to cocktails, here are five fantastic ways to use the versatile herb. 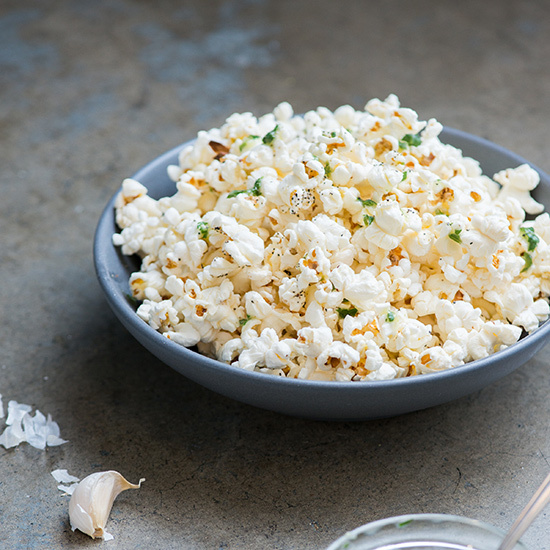 Brighten oil-popped popcorn by tossing it with fresh parsley. Upgrade the classic green salad by using curly parsley instead of lettuce. A bright, lemony parsley sauce pairs perfectly with grilled sausages. Fashion designer Reem Acra loves this herb-heavy take on the classic Middle Eastern dish. This refreshing cocktail features muddled parsley leaves.